Whether you are a home user or a growing small business, computer network maintenance in Baltimore and support services are more essential than ever before. 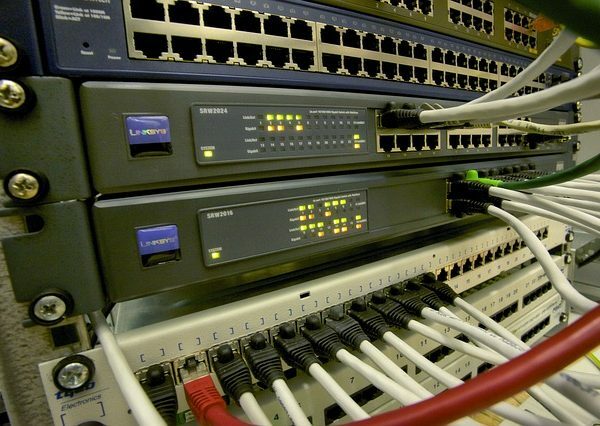 You need excellent network reliability if your already have one set up. If you are growing, you need experienced technicians to help you setup a computer network so that everyone in your office is properly connected with the features that you need. We make sure your network is running 24/7/365 with minimal downtime so that you can keep your business running the way it needs to. We have operated in the Baltimore area since 1993 so we have seen just about every type of network problem you might encounter and know how to troubleshoot them effectively. We have helped many small businesses throughout the greater Baltimore area with their computer networks and can get your network up and running again if you’ve been having problems. We can fully set your network up and offer responsive computer network maintenance in Baltimore anytime you need servicing. With a focus on efficiency, you can trust that your service will be performed quickly, whether you need to setup a computer network or if you need a repair. Call us at 410-336-7313 for qualified and responsive network maintenance or setup in Baltimore today! Questions? Live chat with us! My computer skills are limited, and several times we had either viruses or some computer glitch that left one or more of our business computers paralyzed. In all cases, Bob or one of the ACS Techs came to the rescue to bail us out. Quick turn-around time, economical repairs, and personalized service keep us loyal to their business. Thanks!!! ACS Computers are very different from the run of the mill organizations that seem to be popping up everywhere. With something as important as your computers or computer networks you definitely want a pro dealing with any issue and ACS fills the bill. They will get the job done and done correctly and in a timely manner. You can count it. ACS Computer Repair is a Division of ACS Computers LLC. Copyright ACS Computers LLC 2006. All Rights Reserved.